Recently around the world we have seen many business leaders and politicians hit the wall for breaching ethical behaviour. As a result many of their businesses have failed and there has been a terrible cost on their respective families and friends. But what makes an ethical business? Ethics is a term that is often bandied about – but is rarely talked about in depth. And yet it is one of the foundations for each and every business. If you ask each person to define ethics or ethical behaviour you will get hundreds of different answers. And yet we hope that all of our team will act as one in complying with ethical behaviour. 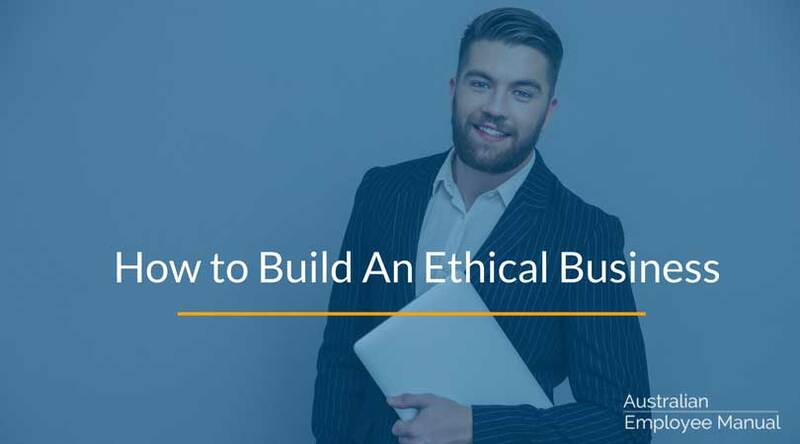 Over the years I have learnt that ethics in your business is something that regularly needs to be talked about. You need to use stories and examples to highlight what is and isn’t acceptable behaviour and to help build a common understanding of what is OK for your business. Many years back I was involved in creating the first Code of Conduct for a large government agency. It was a long process, with lots of consultation. There are some broad guidelines that we developed that are applicable to most organisations, no matter their size. You want your team members to respect each other, clients and suppliers. But you need to define what respect means. For example language that is totally unacceptable in a legal office may be OK on a building site or on the wharves. As a manager you need to talk about what the boundaries are. Talk about some challenging areas such as when people “flame” your company on blogs or forums – how should your team respond. You want your team to comply with all laws and legislation. If there are particular “hot spots” you need your team to understand what they are. For example – you may need to discuss the impact of privacy legislation on your business and what that means in terms of managing customer records. Challenge areas could include things such as meeting deadlines for tax or superannuation returns or dealing with conflicts between professional codes of ethics and company policy. You need your team to act with integrity – but as we have seen by many business leaders and politicians, many people don’t understand what that word actually means. Challenge areas include talking about things such as bribery and when it is OK to accept gifts from people and breaching of confidentiality (many Gen Y’s in particular need help with what is OK to disclose and what isn’t). You may also want to talk about things such as using other people’s images or words without acknowledgement. This is such a big area that it warrants a lot of discussion in its own right. You need to talk about the difference between real conflicts of interest and apparent ones (the ones that someone looking in from the outside says “looks suspicious” but really aren’t.) Challenge areas include whether you should take two clients who are in competition with each other. This has to do with giving your best efforts and not slacking off on the job. Challenge areas include things like gossiping, over-use of social media and not meeting deadlines. No business has bottomless cash reserves. You need your team to understand their financial boundaries. Challenge areas include falsifying timesheets, taking sick days when they are not sick and using company property (company stationary budgets go through the roof at back to school times). This is another area that is so important that it warrants its own discussion. People may not be aware how a casual slip in conversation or on social media can be interpreted as insider trading. Challenge areas include social media – and what is OK to say on your private Facebook or Twitter account. What I recommend is at each staff meeting taking one of these areas and talking about it with your team – getting them to put into their own words examples of what these areas could mean. You can also give them some scenario or hypothetical examples and ask their opinion on whether or not the example shows a breach of ethics. Ethics in business is not easy. If it was everyone would be doing it. All you can do is to help your team to become aware of what your particular boundaries are, and guide them in the right direction. 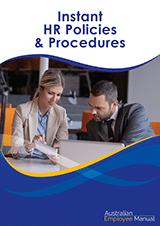 Our Instant HR Policies & Procedures Manual includes a guideline Code of Conduct based on these ethical areas.